Photograph and Poster Copyright ©1998 by Stephen Johnson. All Rights Reserved worldwide. 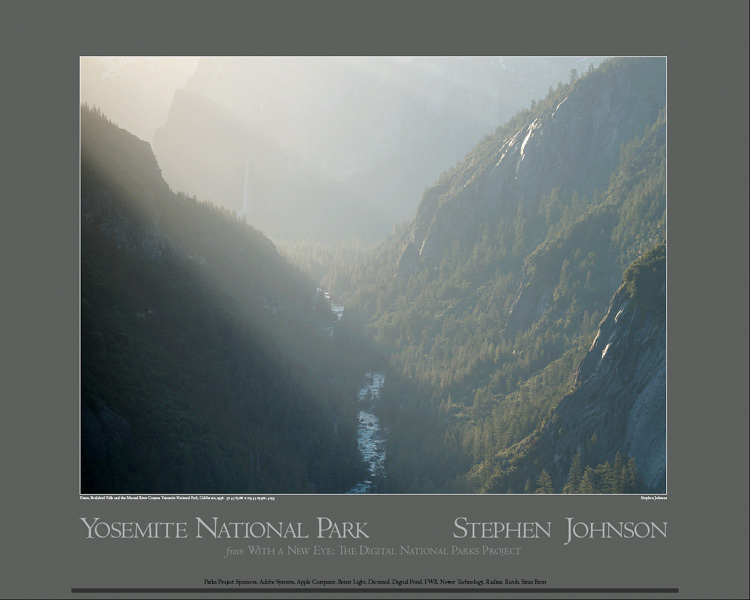 Dawn over the Merced River Canyon on the west side of Yosemite Valley. Printed direct to plate with a 240 line screen and varnishes on 30x24 heavy paper.